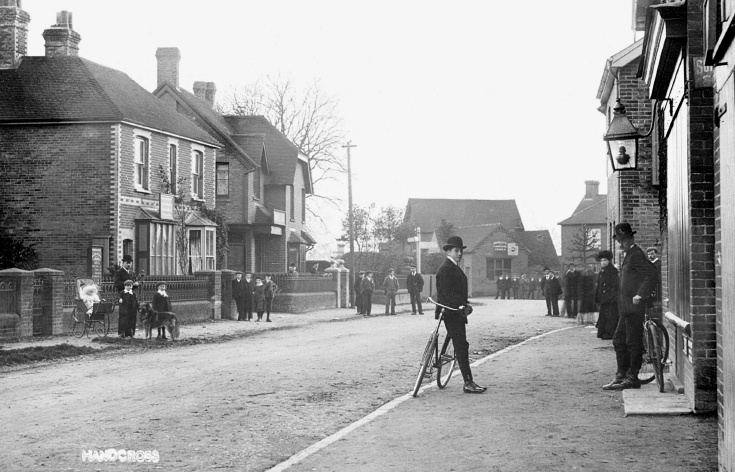 Lots of men and boys, but just one woman posing in this picture taken at the southern end of the High Street, Handcross. The baby in the pram with his two elder brothers is Harold Tulley who some years later would run the drapery and grocery shop on the extreme right of the photograph with his brother, Ralph. Also pictured is their family dog, Rover. That is the first real dog I have ever known to be called by that name.